A superb continuation of the collaboration between David Gulpilil and Rolf de Heer. The camera is so focused on it’s central character and the film so sympathetic that you feel like you are watching a visual embodiment of their friendship. That might be over reaching, but it is this warmth that really makes the film. 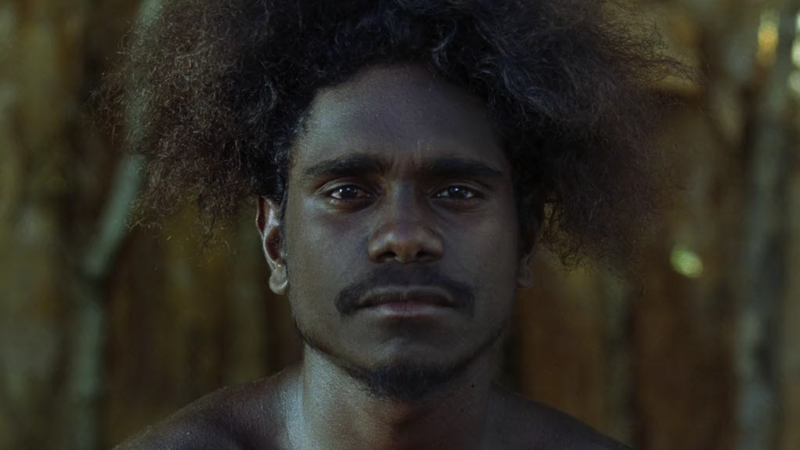 I wanted another David Gulpilil film after last wave. turns out he is only the narrator in this one, though he is incredibly prominent. Interesting that the directors of both films said they were based in one way or another on Gulpilil’s ideas or their relationship with him. Issues of race again hung over this for me at the beginning, knowing this was a white director making a film about aboriginals that was using aboriginal voiceover in an authorial position. I was worried he was using them to endorse his outsider perspective, but those concerns mostly went away, perhaps not justifiably, when the movie sucked me in completely. What a fun film – a very good balance of tone. The humor and self consciousness undercuts some of the possibly pretentious anthropology elements without being disrespectful or feeling like they are hiding behind it.